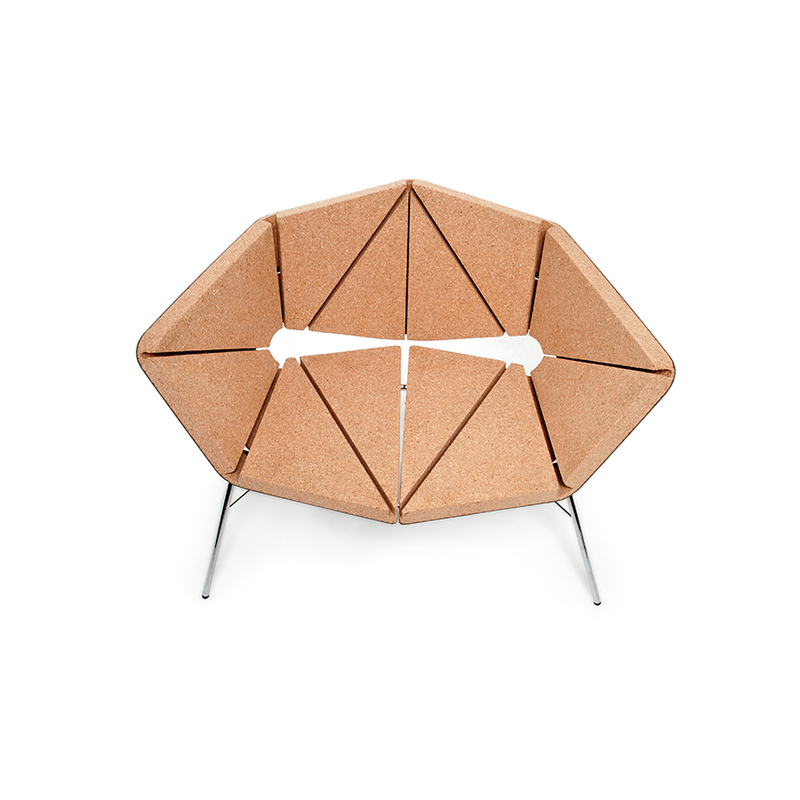 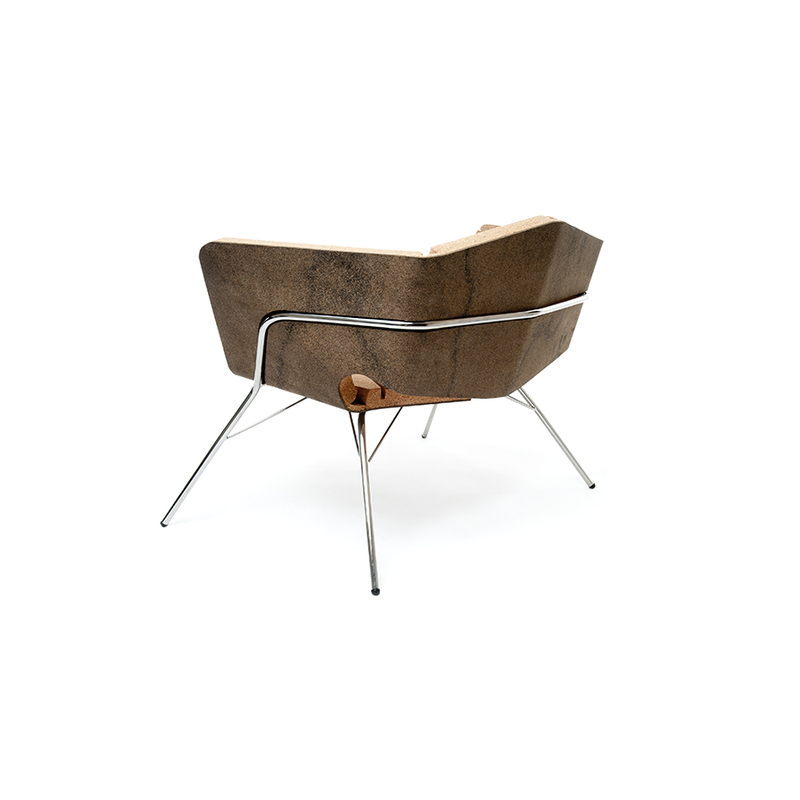 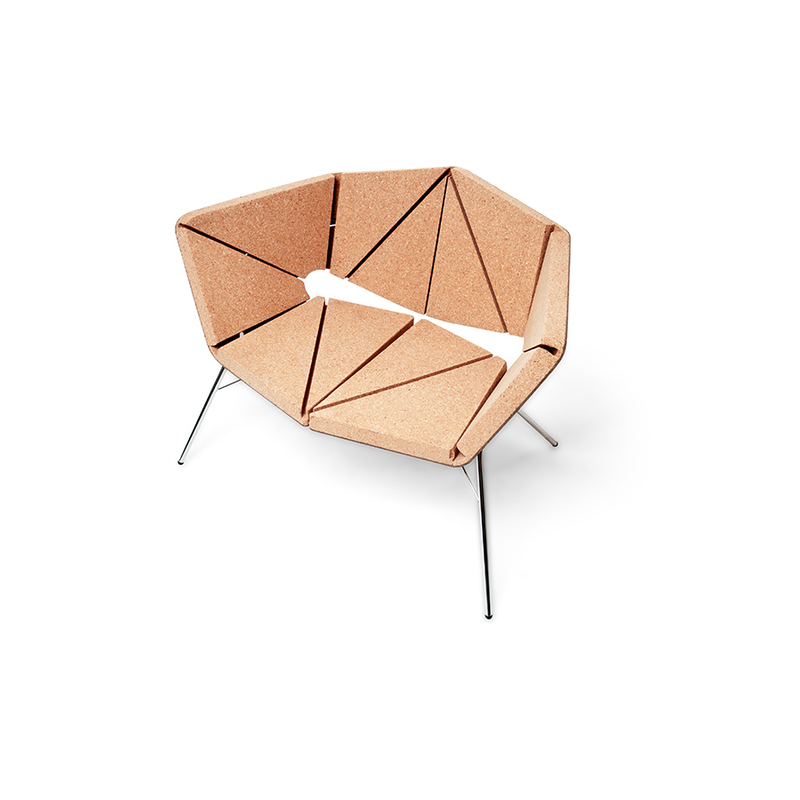 Vinco chair offers a sophisticated feel with a natural touch, providing a unique sensorial experience with cork. 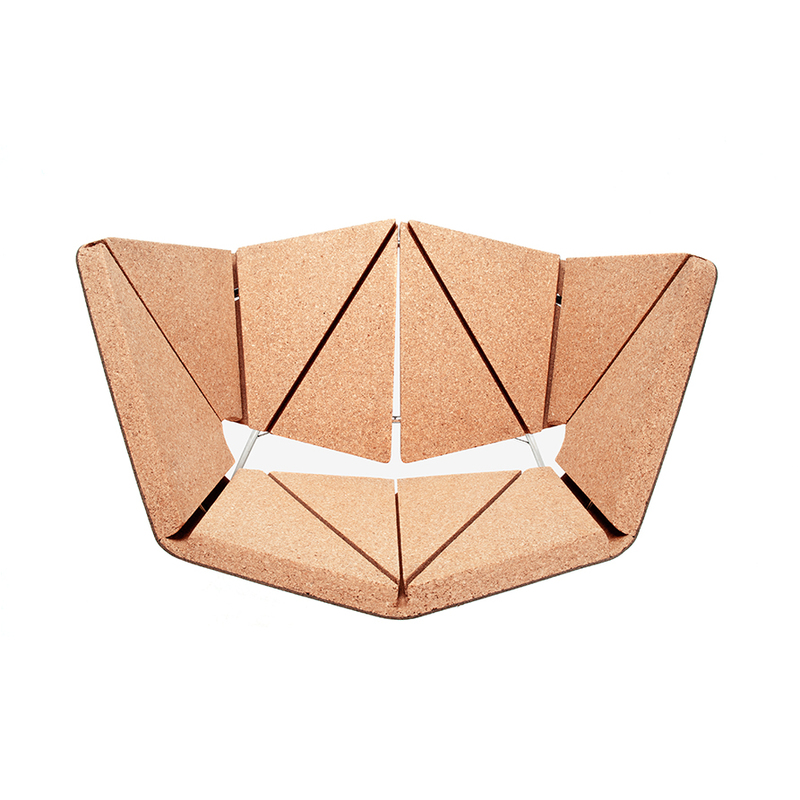 The creases in “Vinco” form a volumetric structure out of a flat board, made from a sandwich of natural agglomerate cork and rubber cork. 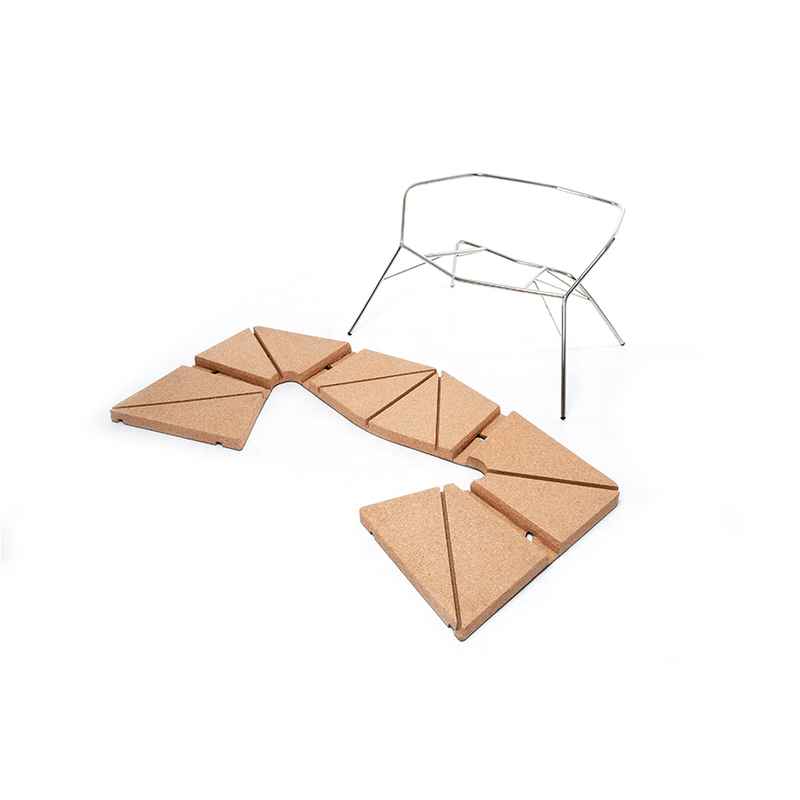 The chair is ready to use just by assembling the board on the polished steel structure, without any glue or screws.